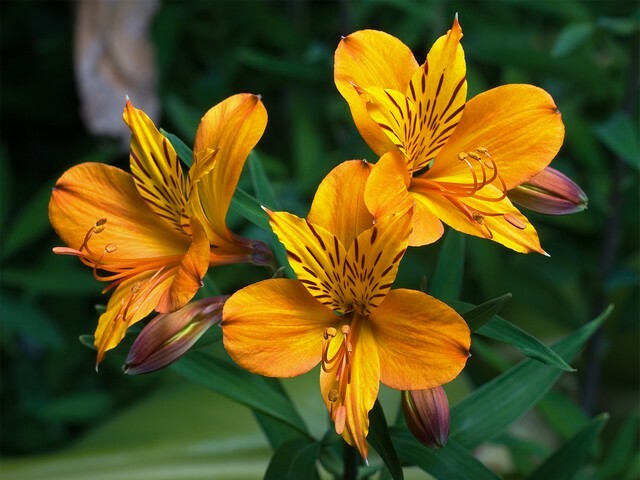 Alstroemeria aurea (Peruvian lily or lily of the Incas) from southern Tasmania, Australia. The plant's seeds of this genus with lovely flowers, which resemble a miniature lily, were collected by Swedish baron Claus von Alstroemer (1736-1794) on a trip to South America in 1753. There are many hybrids and cultivars with different markings and colours, as a result from crosses between species from Chile which grow in winter, with summer plants from Brazil.